If you see this, it means my rmd file is succesfully compiled to a webpage. 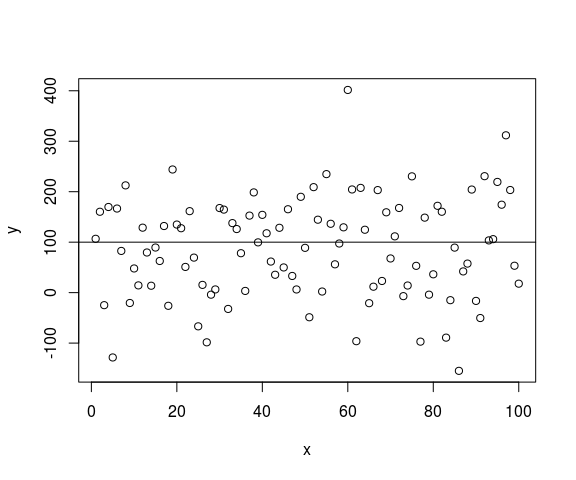 Now I will draw a plot to display 100 random numbers. I do not well understand why “xaringan” is needed, but anyway, I installed “xaringan”, then rebuilt this file. Now I can see a new markdown file generated, and I git added this file, commited, and pushed to the github repo（Maybe you feel curious about the tense I used here, the same feeling that in the letter, you see, “I hope to send some money to you with this letter, but unfortunately the envelope is already sealed”）. Now I hope you can see it online.